In our previous blog post, we dove into the subject of metadata and the role it plays in records and information management software. As we learned, metadata is absolutely critical to the success of RM software and your ability to generate positive ROI. 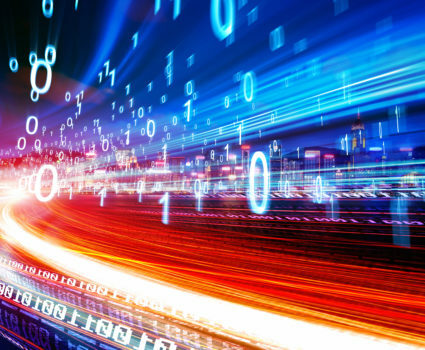 In this post, we dive into the nuts and bolts of metadata, outlining the top eight ways that it helps “supercharge” your RM software. Metadata offers an additional search option to regular “full text” search. Incorporating metadata into your system will allow you to retrieve documents results based on a match in one or more of the metadata fields. The possibilities for this are endless. For example, you could encode a metadata field to represent a case file number, a legal matter, an oil well or a product number. In most RIM systems, the document type or “classification code” is a core piece of metadata used by the software itself and by users. Document classification is one of the foundational pieces of a records management program. When the software knows what type of document it is dealing with, then it knows many other things about it, such as who can access it and how long to retain it. In a RIM system, roles like these can be used to grant access to certain kinds of documents as dictated by the corporate classification scheme. For each document entry, a metadata field indicates the type of document involved. By recording the history of metadata values, the system can create a very powerful audit trail. For example, using metadata field to track which staff member is currently in possession of a document allows management to keep track of a files location and who has had it. Because all of these log entries are stamped with the date and time, the changing metadata fields create a powerful audit trail, or “chain of custody” for each document. By tagging each document with a classification code and creation date, the system is able to easily determine when most documents are ready for disposition. Metadata also can help with retention and disposition in the case of event-based retention and holds that may be created by legal proceedings. Metadata can be used to generate powerful insights about your operations when implemented with the needs of management in mind. For example, metadata can be use to capture the specific office where each document originated. This can provide insights into productivity, work balancing, and more. Time stamps also provide powerful insights in to the efficacy of workflows and where you might want to focus on process improvements. While RIM systems are not purpose-built for document collaboration and versioning, they can still be very helpful as a way to track different versions of documents. In order to do this, some of our clients assign a metadata field for the document version number. That way, staff can quickly determine which version of the document they are looking at. Another great use for metadata is to track the completeness of a file. For many industries this is an invaluable tool to ensure compliance and avoid risk. In industries where specific documents are required and must be retained together, a simple yes/no metadata field can be used to indicate whether all of the required documentation has been entered into the RIM system. With this metadata field in place it is easy for managers to prepare a report and identify which files are incomplete. For metadata to work well in a RIM system it is essential to apply it across all documents. To achieve this consistency, it helps to automatically populate of metadata fields whenever possible. This all sounds like a lot of work but it is worth it in the long term! 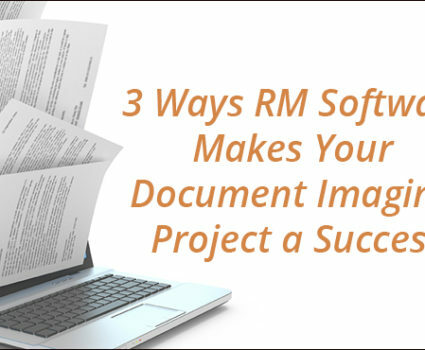 Need to make the case for RM software? Check out our ROI calculator. 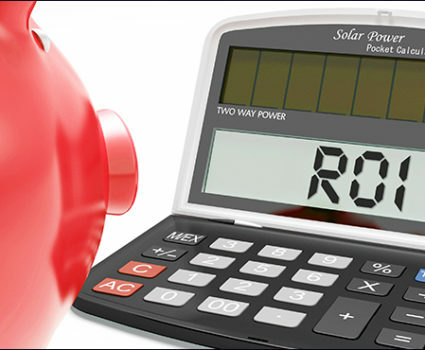 It provides a structured approach for calculating the savings from five main employee activities. If you are trying to figure out how to manage paper and electronic files in the same environment, you need this white paper, Meeting Records Management Requirements in the Electronic World. Get in touch with our experts. We can help you design your filing structure and ensure a successful outcome of your implementation.